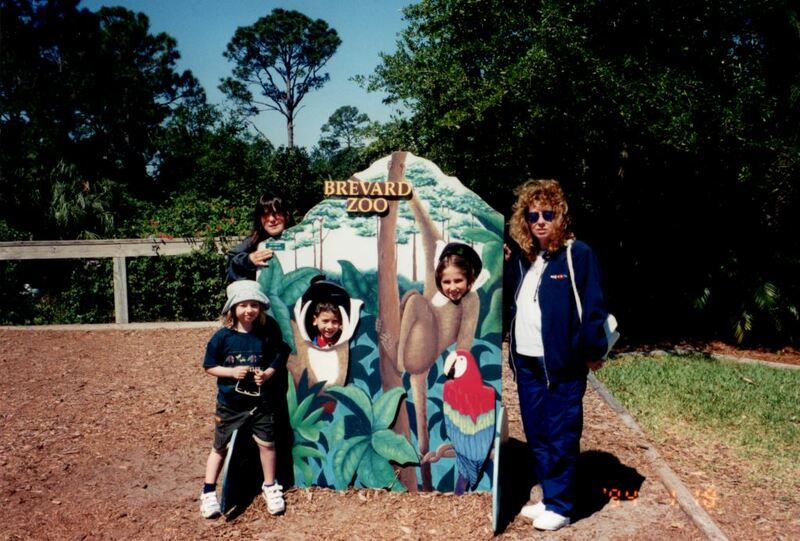 The Brevard Zoo, located at 8225 North Wickham Road in Melbourne, Florida, in 2000. Pictured in the photograph are, from left to right: an unidentified child, Alicia Lynn Cepero; Robert "Bobby" James Lenahan, Jr.; Laura Lynn Cepero; and Lynn Lenahan (née Sabatino). Construction for the zoo was spearheaded by the East Coast Zoological Society of Florida, Inc. (ECZS) and began in 1992. The zoo opened on March 26, 1994. Original color photograph by Nancy Lynn Cepero, 2000: Private Collection of Nancy Lynn Cepero. Digital reproduction of original color photograph by Nancy Lynn Cepero, 2000. Originally created by Nancy Lynn Cepero. "Brevard Zoo." Brevard Zoo. https://brevardzoo.org/. Cepero, Nancy Lynn. 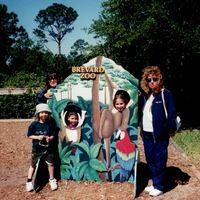 “Brevard Zoo, 2000.” RICHES of Central Florida accessed April 24, 2019, https://richesmi.cah.ucf.edu/omeka/items/show/4403.